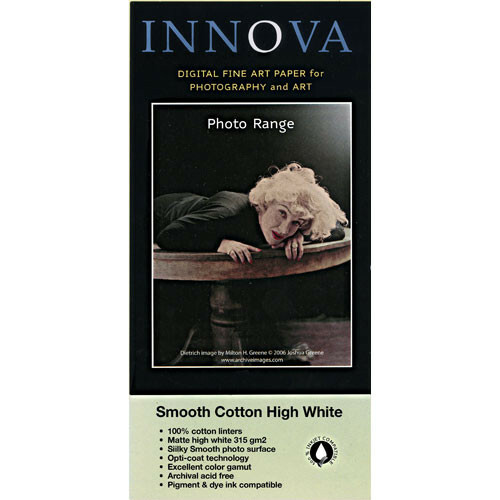 The Smooth Cotton High White Paper is made from 100% cotton. It is acid free, and features excellent color gamut representation with superb color accuracy. Box Dimensions (LxWxH) 11.55 x 8.9 x 1.2"